Delhi Metro has been doing wonders in the past few years. Introduction of new lines, completing phases and extension of existing lines at exceptional speeds, it has been progressing pretty well. But this is amazing news that Delhi Metro is now on the world map for holding a record for one of the world’s smallest metro stations. The Ashram Metro station, part of the 9.7-km section of the Pink Line connecting Lajpat Nagar and Mayur Vihar pocket-I, will not only ease the commute between east and south Delhi but has also set a new world record. With a size of just 151.6 metres against an average of 265 metres, the underground station—opening on Monday—is set to become the smallest Metro station in the world. 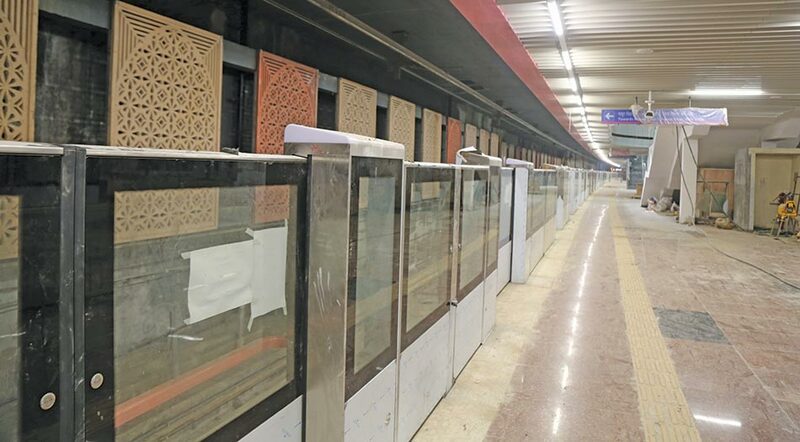 To build the station, located at the centre of one of the busiest intersections in the city, the Delhi Metro Rail Corporation (DMRC) had to fight several land acquisition battles. The prolonged legal battle forced the designers to come up with a station design that took just 151.6 metres of space against the average of 265 metres. The DMRC had to reduce the station by almost half the average size. This was done by making the station vertically while saving space horizontally. The limited space led to a unique design. The station has three entry/exit gates—from National Agricultural Cooperative Marketing Federation of India (NAFED), the fire station at Mathura Road, and from CSIR apartments. As soon as commuters descend from the stairs, they usually land on the concourse level. But here they will first land on the mezzanine level, where the ticket and security counters are built. The Ashram station will also greet its users with its eye-catching artwork that revolves around the theme of ‘mother and child’. The colour scheme conveys the theme of ‘abundance’.